Shipping Services To Busan Within Your Budget! Are you worried about your international shipping to Busan? Well, now you don’t need to worry about it anymore as we are here to help. With many years’ experience in shipping goods to Busan, you can rely on Anon to make this a pleasant experience. We currently offer shared container option (also known as LCL or Groupage) for goods to Busan in South Korea. We have a weekly container sharing service to Busan from Felixstowe port in Ipswich. This service is suitable for private individuals wishing to ship their items to Busan but do not have enough to fill a whole 20 or 40 foot container. This way, they only pay for the space they need in the container and the rest of the cost is spread amongst the other users sharing the container. With LCL container sharing for personal effects, the goods can either be collected from your UK address or, you can deliver to Felixstowe port for loading. If you are looking for shared container shipping to Busan for your commercial goods, we will offer you the best possible deal. 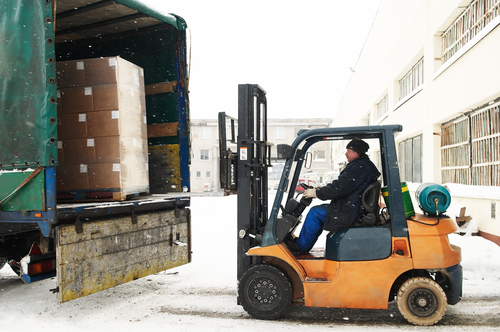 With our expert loading team, we will collect the goods from your office or warehouse within two days of your initial contact. The goods will then be shipped out in the next available vessel, this is usually every weekend. They will deliver your goods to the right place and in the safest condition as you have mentioned. With our sole use container shipping service you can easily carry a large amount of household belongings or other goods while with our shared container shipping you can carry small amount of goods within very reasonable budget. As you know, Busan is an international shipping destination, so shipping could be expensive here. However, with Fastlane international shipping you can avail the shipping service within very reasonable budget. Here at Fastlane we are equipped with dedicated staff who are keen to assist the customers’ right from loading to delivering the goods in the right destination. If you are looking to ship your belongings to Busan, then you must make the most of our shipping service. So, don’t be too late! Go and grab the offer now for the best possible deal! We can arrange car shipping to Busan by shared/groupage container. The vehicle will be collected from your address in the UK and delivered to the port. Alternatively, you can deliver the vehicle to our depot in Southampton or Felixstowe for Loading into the container. Groupage shipping for cars is a lot cheaper than hiring a full container as you only pay for the space that you need. The rest of the space is let out to other individuals.